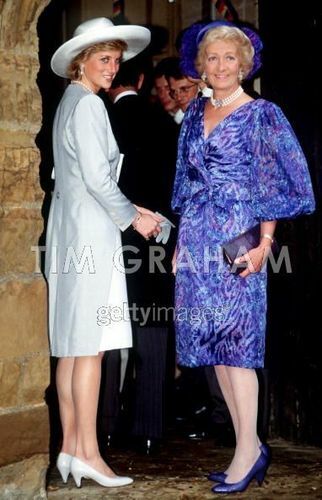 Diana And Mother In Althorp. Princess Diana With Her Mother, Frances Shand-kydd, At The Wedding Of Viscount Spencer (charles Spencer)16 Sep 1989. Wallpaper and background images in the Princess Diana club tagged: lady diana. This Princess Diana photo contains boater, leghorn, panama, panama sumbrero, mandaragat, espumadera, and dayami sumbrero. There might also be Fedora, nadama sumbrero, Homburg, Stetson, trilby, snap brim hat, porkpie, and porkpie sumbrero.